Well January got off to a bit of a rocky start with some of the coldest weather I have ever experienced in south east Louisiana. The water temps in the Louisiana marsh were below 42 degrees for over a week. Over the years I have found that water temps below 48 will usually push the redfish off the edge into the deeper waters. So to say the least it has been a slow week. We have now climbed out of the freezer with air temps and water temps ascending back into their normal winter zones and the fish are reacting accordingly. The Bull Redfish are back on the flats and very hungry. The water is super clean and sitting at 54 degrees now which is perfect. 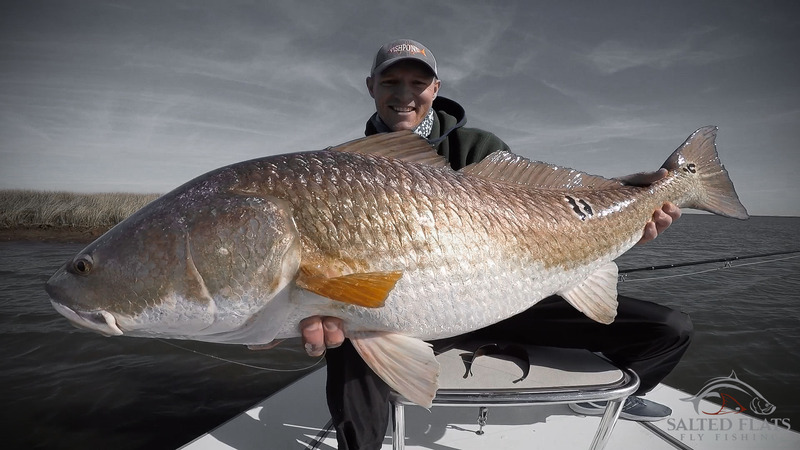 Louisiana Fly Fishing for redfish is far and away the best destination to come for daily shots at bull redfish in excess of 30 pounds. We are having a proper winter this season and I look forward to each day remaining this season!